Stanly Community College (SCC) recently hosted demonstrations for local business and industry for skilled painters and coaters. David Zboray, Operations Manager, VRSim, Inc., provided demonstrations on several prototypes for SimSpray, SimSpray Powder, and SimSpray Industrial. Each sprayer combined game design and interactive technology to create innovative training that engages students and modernizes learning. Curriculum modules include projects, lesson modes, and objective feedback. According to Mr. Zboray, "Nearly 3.4 million manufacturing jobs need to be filled in the next decade. However, only 10% of high school students are interested in skilled trades. We want to encourage the next generation and train them efficiently and effectively, and the SimSpray is a fast, low-cost, engaging virtual reality that promotes collaboration and is game based to motivate improvement." 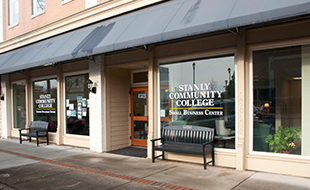 Billy Huneycutt, SCC's Program Head for the Collision Repair and Refinishing Technology, said, "We are very pleased that VRSim has chosen SCC and the Stanly County area to host their new hardware and software demonstrations. Students are able to gain industry-specific skills through its interactive training simulator that is quick, safe, and cost-efficient. We currently use a VRSim unit in the classroom and the students really like working with the new technology." The benefits to using an integrated virtual reality simulator can save a company thousands of dollars. Data collected by VRSim, Inc., reports that a company can use 50% less in materials costs and 20% less in operating costs once the SimSpray is implemented. VRSim is the leading provider of interactive training tools for the skilled trades. The home offices are located in East Hartford, CT, and the company has formed training systems in welding, spray painting, construction and manufacturing. 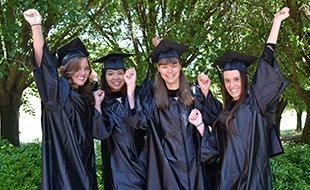 The company's products have been successful in over 100 countries among schools, workforce development initiatives and leading global organizations, including The Boeing Company, Caterpillar, Saint Gobain, the International Union of Painters and Allied Trades and the U.S. Navy. 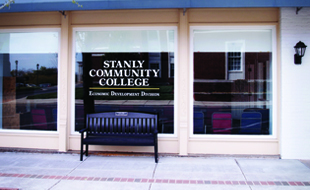 For more information about SCC's Collision Repair and Refinishing Technology, contact Billy Huneycutt at (704) 991-0248 or email at bhuneycutt8196@stanly.edu, or visit the College's website at www.stanly.edu. New Finish, Inc., President Steve Bradley (right) and Vice-President Brenda Bradley, along with VRSim Operations Manager David Zboray, and Billy Huneycutt (far left), stand in front of a SimSpray Virtual Reality Training System used during Mr. Zboray's demonstrations. The Bradleys were present during the demonstrations. New Finish Powder Coating & E-Coating is a family owned and operated business located in Norwood that paints a variety of metal, steel and aluminum products.